* Welding (Full) @ 11:30am Sunday 9/26/2010. This weekend's welding class is already full, but if you are interested in attending a future welding class just show up to our weekly meeting on Tuesdays @ 7:30pm to register. The MakerBot and Python classes are both free and open to the public, so feel free to show up and bring a friend. Please keep in mind that your donations are what allow us to keep doing these classes for free. A representative from Geeks Without Borders will be visiting Freeside at 7:00pm, September 19th. GWOBorg is an international coalition of passionate problem solvers working together to assist people whose survival is threatened by lack of access to technology or communications due to violence, neglect, or catastrophe. Learn how to design, build, and modify electronic circuits, starting from the ground up. Current topics include basics, transistors, and op-amps. Free w/ $10 suggested donation. Dragon*Con is this coming up this weekend and it's been a regular topic of conversation around Freeside. A lot of Freeside members regularly attend Dragon*Con and this year some of us are even participating. At least three Freeside Memebers will be participating in a panel about 3D printing and rapid prototyping on the EFF Track. We plan to give an overview of the current state of DIY 3D printing, the future, and discuss some intellectuality property issues. We will have a MakerBot and RepRap Mendel for demonstrations. This panel is scheduled for 2:30pm on Friday 9/3. You can also look for a few Freesiders in the parade driving a Delorean. So if this is you first year attending Dragon*Con, or if you are a seasoned pro, you are sure to have a good time. If you see someone a Freeside shirt, don't be afraid to strike up a conversation! 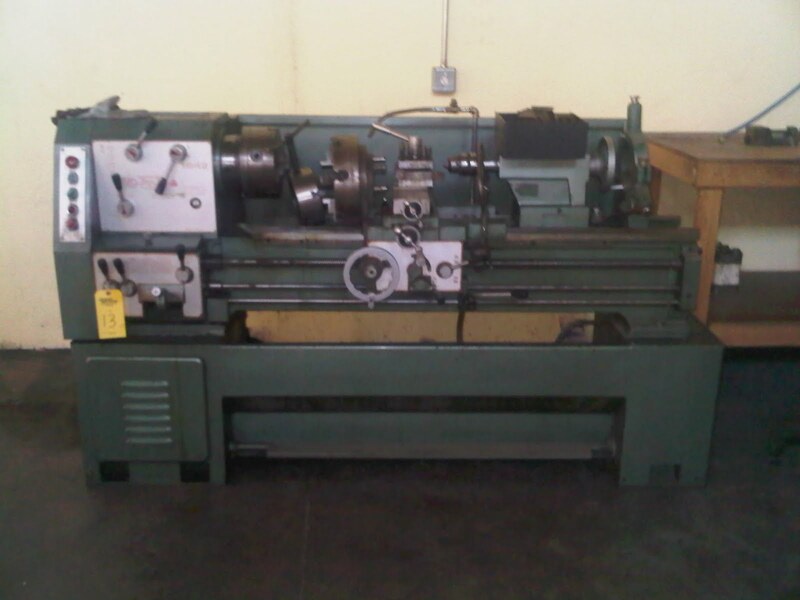 On Thursday, we acquired Freesides very own Busy Bee Lathe. Our good neighbor Walt helped me move it over the weekend as this sucker weighs in at over 1800 lbs. We will hopefully have this up and running soon and available for use by members. Walt has offered to help train us on how to use this in exchange that he can come over and drool on it from time to time. Expect egregious amounts of science. Free w/ $5-$10 suggested donation. Freeside Anniversary Party and Open house - August 7th - Final reminder! Our Opening / Anniversary party and Open House are happening this Saturday! All are invited to come by our space, see some goings on, and learn more about freeside. The doors open at noon, and the space will be open until 9pm. After that, a members (and their guests) only party for those who make Freeside great! Please bring cash for the grill or donations to help keep Freeside running smoothly! - Start building a Bar bot of some sort. If we have enough entries, there will be a bar bot contest! The rules are simple - no open flames, nothing dangerous, judges opinions are final. 21+ only are allowed to participate. You will need to supply your own mixers and spirits, so keep that in mind! - Contribute! If you have a project you'd like to show off, let us know! We would love to have a mini-fair during the day. LIkewise, if you know any artists, musicians, or DJs that you think might want to come out, put them in touch with us! More details are forthcoming. This will be an open house during the day, and a party during the evening. We can provide crash space for visiting hackerspace members if needed! For more details, send a message to nullset. He uses gmail.com, or to the freeside-atlanta google group. See you on the 7th! Check back for our Welding Workshop dates and times. Attention all Noise Makers, DIYers, Hackers, and Punks, Wednesday June 30th will be Freeside Atlanta's next Circuit Bending WorkShop. The Workshop is free and open to the public. Instruments can be provided for a donation. Electronic Kits are also available for purchase. Please RSVP if you are planning on purchasing a kit or need a toy. You can RSVP via our EventBrite page.